There is much talk of our disappearing night sky, and fortunately in 2001 the National Park Service took the formal step of recognizing the night sky as a natural resource. 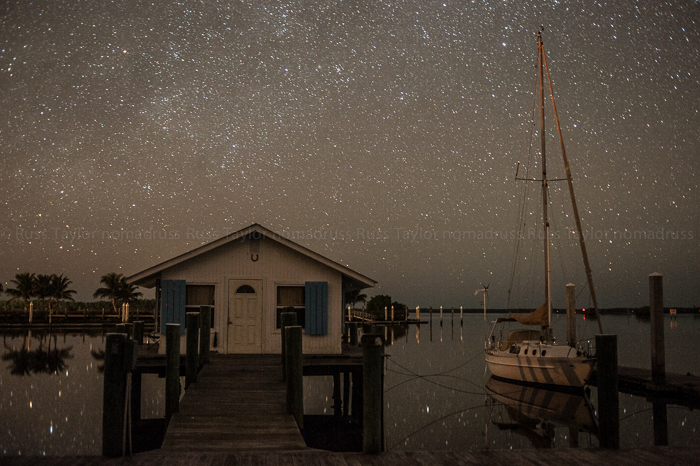 There are still places in the Eastern US where you can find a bit of darkness, and the Everglades is one such place. 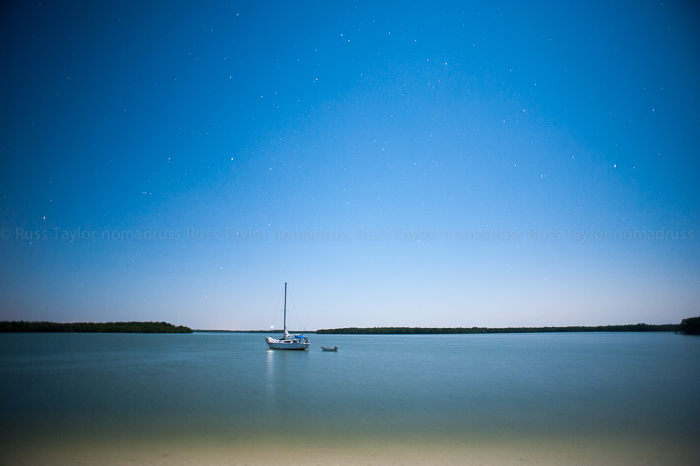 One image was made on a pure night sky, the other accompanied by the glow of the moon, both in the Florida Everglades. These photos are spectacular…once again. I love your photography! Wow! Those are just stunning, Russ! Thanks sure much, appreciate that you enjoy them! The starry night is breathtaking. I would love to fall asleep looking at the clear sky filled with stars. Awesome picture. Thanks for the kind words. There’s no reason you can’t! Especially if you make s summer trip to the wide open west! Perfect conditions, with those reflections something else! Love the photographs, could you offer some pointers? What kind of lens did you have and what was your ISO? Is it one shot or a composite? Hey, this was one shot. It was made with a Nikon D700 and a 35mm lens. In order to get the stars to show up properly it’s best to leave the lens open around 30 seconds. If you leave a lens open longer than 90 seconds then you definitely begin to get streaks from the stars. In this case I wanted the stars to appear stationary. So this shot was likely made at 20-30 seconds. At night time I tend to use an ISO of 1600 or less. This was probably made with the ISO at 1250. When you set the ISO too much higher, especially over 3200 you begin to get “noise” in your images, lots of little spots that aren’t stars. I wanted to avoid that. If the ISO is too low, say around 200 then you might not pick up enough star light. Some other examples of this night time photography showing the Milky Way you can visit my Mobias Arch post by following this link.